These animated videos were created for Apperson Print Resources’ newest division launch, Apperson Prep, and were used to help supplement lessons being taught in classrooms. These videos were created to be housed and viewed through Apperson Prep’s online environment. The main objective of each three to five minute video was to present an overview lesson concept to middle school and high school students. Apperson Prep then separately produced supportive lesson-specific training videos to help teachers educate students about each lesson overview. 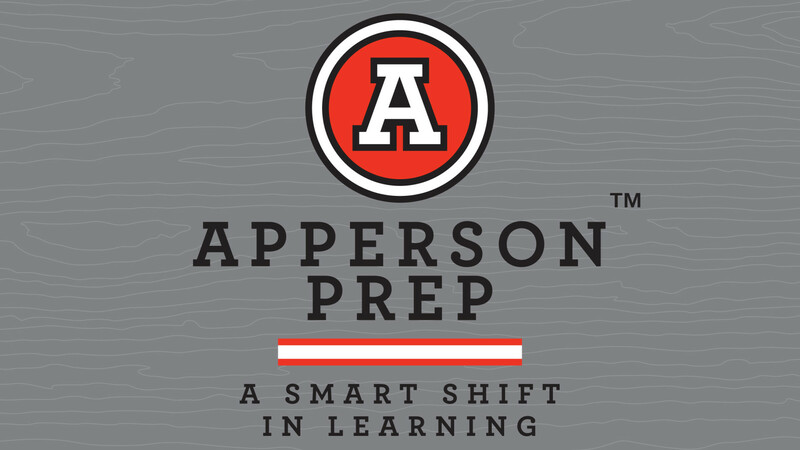 Apperson Prep also created online quiz and test tools for teachers to assign to their students, with data capture results being supplied back to each teacher for assessing the performance of individual students, as well as, each classroom as a whole. A total of twenty-eight animated overview videos were created during the ten month project. Each video was created and produced in a fun-formational style to keep middle school and high school students engaged through custom theme music, clever scriptwriting, stylish illustrations, humorous characters, custom sound effects, fluid animations and dynamic lesson displays. Heavy emphasis was placed on the creative direction and development of these animated videos to provide as much flexibility as possible for current and future lesson overview videos. Smart character development enabled the two main characters to be placed in any setting to aid in effectively presenting each lesson overview. One of the main characters could also transform into any object, and immediately fabricate other objects, tools and displays, to aid in teaching each lesson overview to the other main character. Derived as a side project to the main animated videos project, a division name, product name, visual brand, brand tagline and brand standards were created and established to identify Apperson Prep. Through clever script development, the concept of having the main characters go to a fictional Apperson Prep school became the main setting used throughout the animated videos. As the video production development continued, equity in the fictional Apperson Prep school began to strengthen and ultimately became the obvious name choice. Apperson Prep successfully became the name and registered brand mark for the new division launch and product. Design cues and creative direction were borrowed from the overall concept development that was created for the production of the animated videos. The brand accurately positioned Apperson Prep as a service that aids the educational industry in shifting from a more traditional means of educating to a more progressive online means of educating. 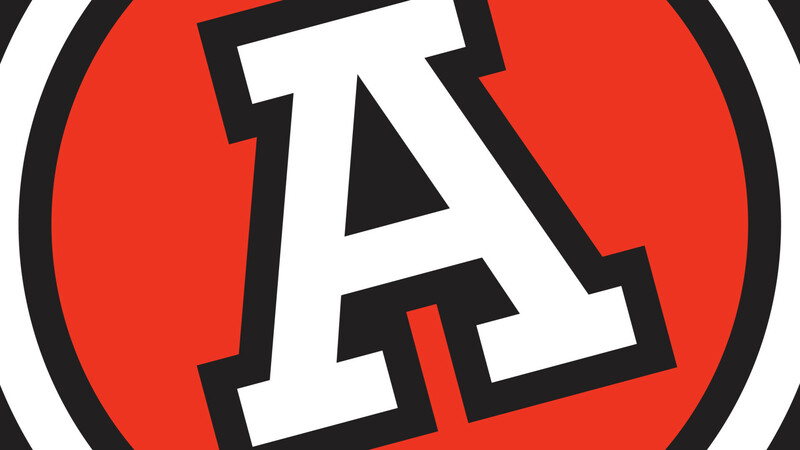 As a secondary component to branding Apperson Prep, a school mascot identity and brand was created to reinforce the fictional school setting established in the animated videos. 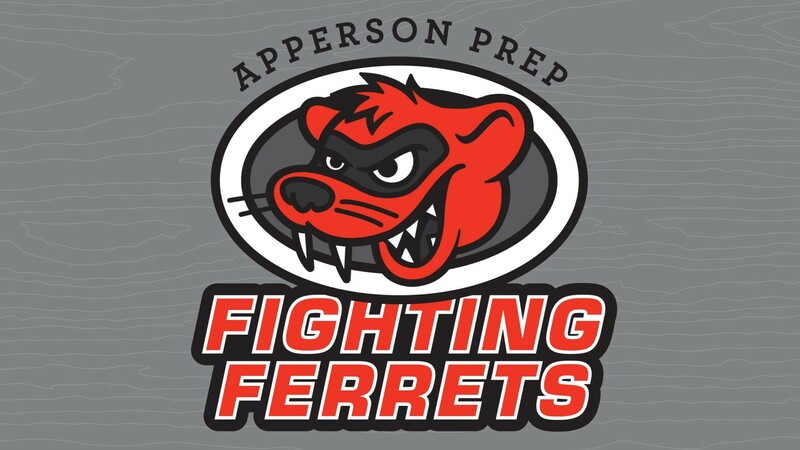 The Apperson Prep Fighting Ferrets athletic department brand was created to reinforce the newly created Apperson Prep brand and was placed as visual elements used throughout the animated videos. 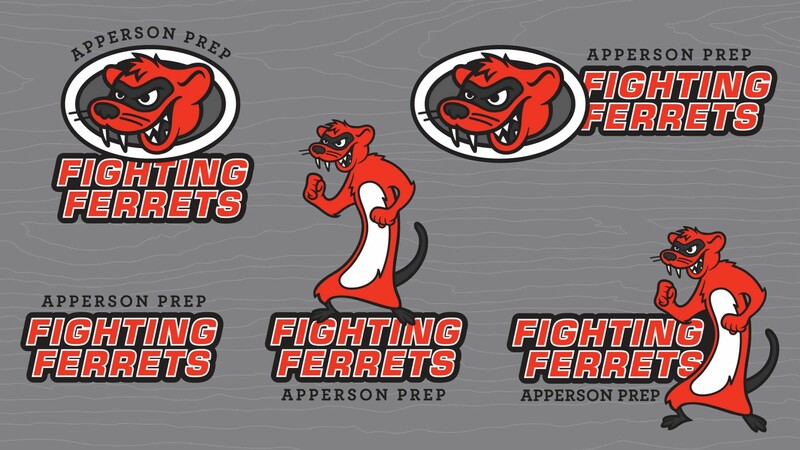 In addition to creating the Apperson Prep Fighting Ferrets athletic department brand, merchandising was also created to be used as promotional marketing items for the Apperson Prep brand. It appears that the Apperson Prep website has been removed from the internet, and is currently being redirected to the Apperson Print Resources corporate website, thus making a lot of this work non-viewable online currently. 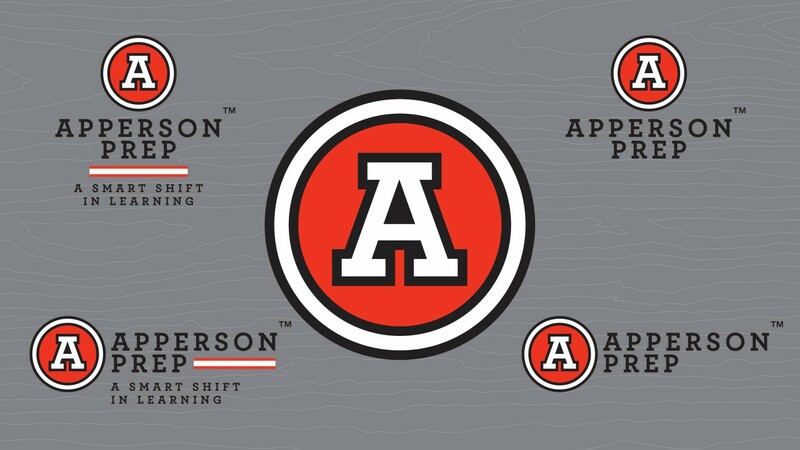 Full view of various brand mark and logo variations created for the Apperson Prep brand. Full view of the main Apperson Prep mascot logo, created for the fictional Apperson Prep school setting depicted in the animated videos. Full view of the various Apperson Prep mascot logo variations, created for the fictional Apperson Prep school setting depicted in the animated videos. Full views above of the animated educational videos created for Apperson Prep.